Looking for a personal security solution you can use to protect yourself or a loved one when something goes wrong? With the increasing number of mass shootings, many people are searching for the right personal safety solution, and there are a variety of options flooding the market…including backpack armor. While you’re more likely to die from a bicycling accident or choking on food (or from an accidental gunshot, so don’t forget your basic gun safety!) than you are in a mass shooting, you can never be too prepared. With that in mind, this handy guide will walk you through the basics of backpack armor, discuss why you might want backpack armor, and give a few warnings. Then we’ll finish up with some backpack armor recommendations. Well, backpack armor is a type of body armor that consists of a ballistic plate that is placed in a backpack to provide protection against bullets. Backpack armor can be purchased on its own to be placed in a pack of your choosing or it can be bought with a pack. 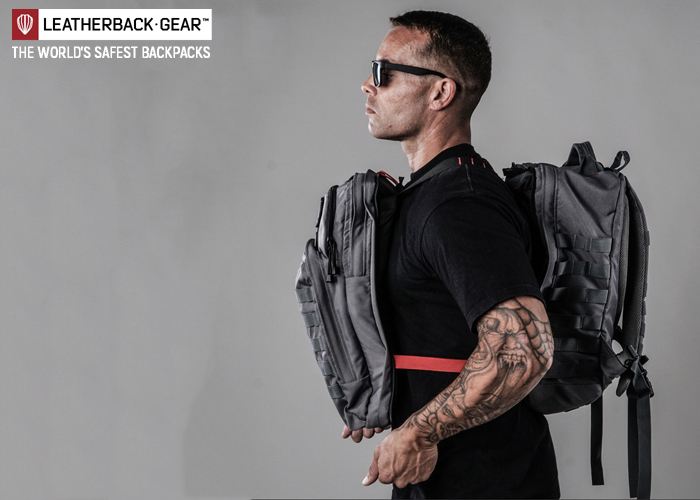 The armor in bulletproof backpacks may be sewn into the bag or may be removable so that if the plate or backpack becomes damaged, it easily can be replaced. 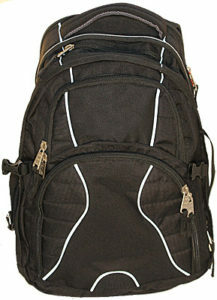 A backpack containing backpack armor is often referred to as a bulletproof backpack. But why would you even need backpack armor in the first place? 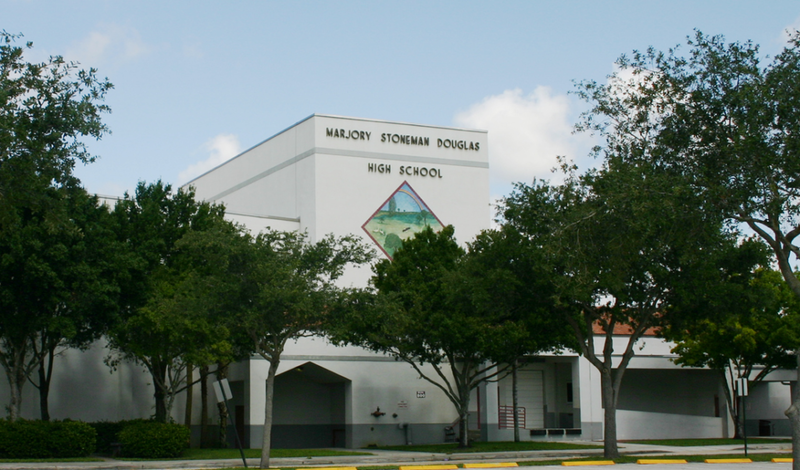 Backpack armor is probably most commonly purchased by parents who are concerned about their child’s safety in the event of a shooting at the child’s school, especially since the Stoneman Douglas High School Shooting in Parkland, Florida last February. 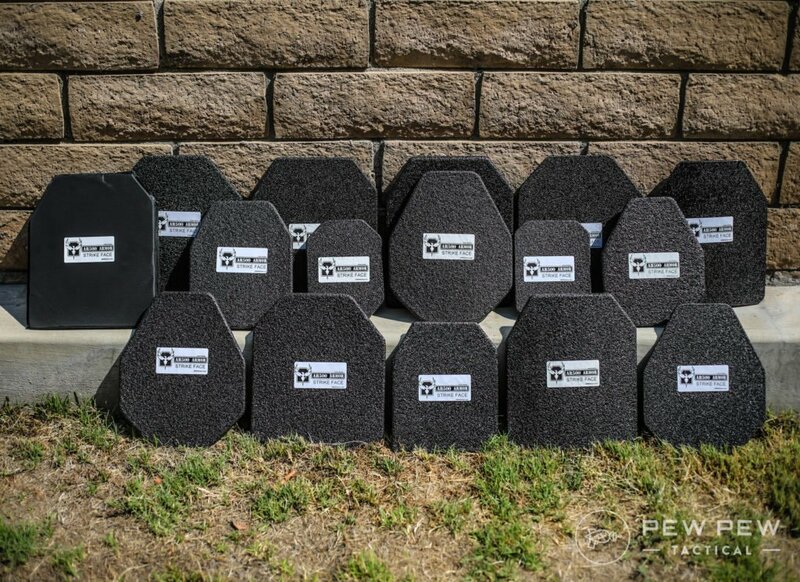 Yasir Sheikh, president of Guard Dog Security, reports that their entire line of bulletproof backpack shields sold out within three days of the shooting. Similarly, Joe Curran, founder of BulletBlocker, stated that they saw a 200-300% increase in their sales of bulletproof backpacks and backpack inserts within the two weeks following the shooting. Those who work in places that may be targets of violence, like government offices and controversial organizations, may also feel more secure with backpack armor. Individuals who are particularly likely to be threatened, like government figures, executives, and celebrities, might also desire the extra security that backpack armor affords. And what about those of us who aren’t worried about a threat because of who we are or somewhere we go? Bulletproof backpacks are a great way to take your bug-out bag, your 72-hour kit, or even your EDC bag up a level. I’ve already said that you can buy individual backpack armor panels or a panel and bag set. There are advantages and disadvantages to each option. Armor panels can be used in any bag, which makes them a great option if you already have a bag that you love or to put in children’s bags, since few bulletproof backpacks are actually designed for children. Panels can be used with any bag that they’ll fit in. 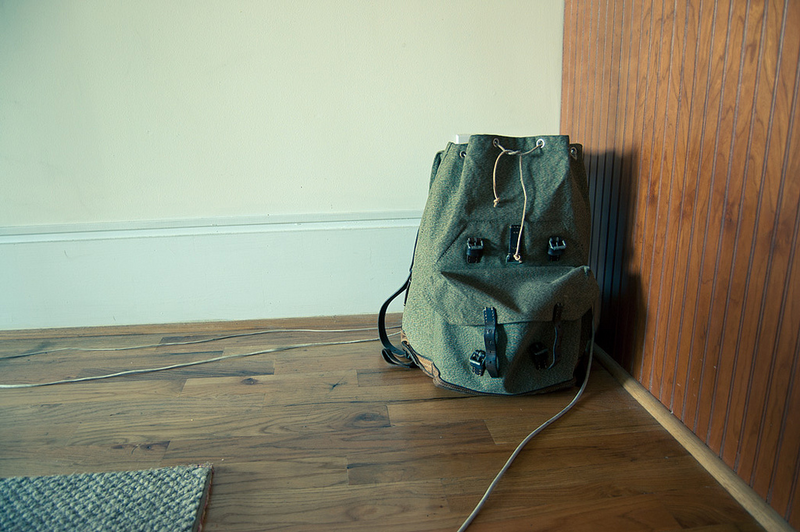 On the other hand, not all bags have a good place to put backpack armor panels. Plus, if you buy your panel and bag together, you don’t have to worry about finding out that your panel doesn’t fit the bag you intended to use it in, leaving you to purchase another bag anyway. 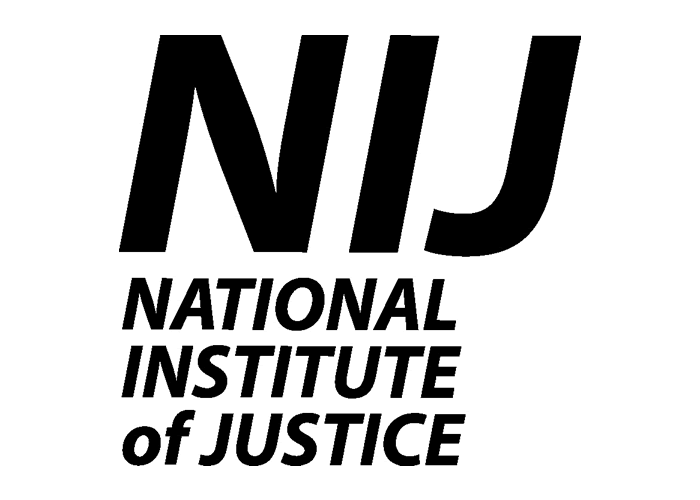 Either way, pay attention to the National Institute of Justice (NIJ) safety rating. The NIJ establishes safety ratings and minimum safety standards for a variety of protective equipment, including body armor like backpack armor. The NIJ has six different levels of safety ratings for body armor: Level 1, Level 2-A, Level 2, Level III-A, Level III, and Level IV. I know, it’s weird and inconsistent, but I don’t make the rules. Level 1 is the lowest possible NIJ safety rating and is virtually never seen anymore, except on used body armor which you shouldn’t buy anyway. Level 1 is mostly just a remnant of the early days of bulletproof technology. A Level 2-A NIJ safety rating means that body armor will stop 9mm and .40 Smith & Wesson with a full metal jacket (FMJ). Level 2 body armor is a step up from Level 2-A, and is also able to defend against .357 magnum. An NIJ safety rating of Level III-A indicates that body armor is adequate to protect against just about all handgun rounds, which are used in most shootings. To be more specific, they are able to withstand .357 SIG and .40 magnum, in addition to 9mm, .40 S&W FMJ, and .357 magnum. Level III-A is the minimum safety level you’d want for backpack armor (or any other body armor, for that matter). 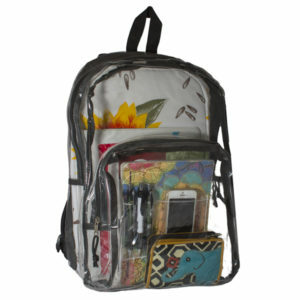 But if you’d like something with even more protection, you can choose backpack armor that offers Level III protection. In addition to protection from handgun rounds, Level III rated body armor also provides protection against 7.62 x 39mm FMJ and .223 Remington rounds. Just in case you aren’t in the know, 7.62 x 39mm FMJ and .223 Remington are the rounds of choice for AK and AR rifles respectively. Level IV is the highest level and offers protection against armor piercing rounds. For most people, this is overkill and not worth the weight and cost increase that occurs as penetration resistance does. You can find both bulletproof backpacks and armor panels at all three of the higher NIJ safety levels, but it’s worth noting that armor panels are easier to find than bulletproof backpacks at Level III and Level IV. Most backpack armor manufacturers don’t bother making anything rated less than Level III-A. In addition, there are limits to the testing used to determine these safety ratings. Body armor is only tested for up to six bullets. In the vast majority of situations, six bullets are more than enough, but it is important to remember that the more bullets that hit the backpack armor, the weaker the armor becomes. However, this testing also doesn’t account for the added protection that the items within the pack provide. Books, electronics, and even coats or clothes provide additional resistance against a bullet. Of course, it’s not enough to justify skipping the backpack armor altogether if you’re worried about an active shooter, but they do add some protection. 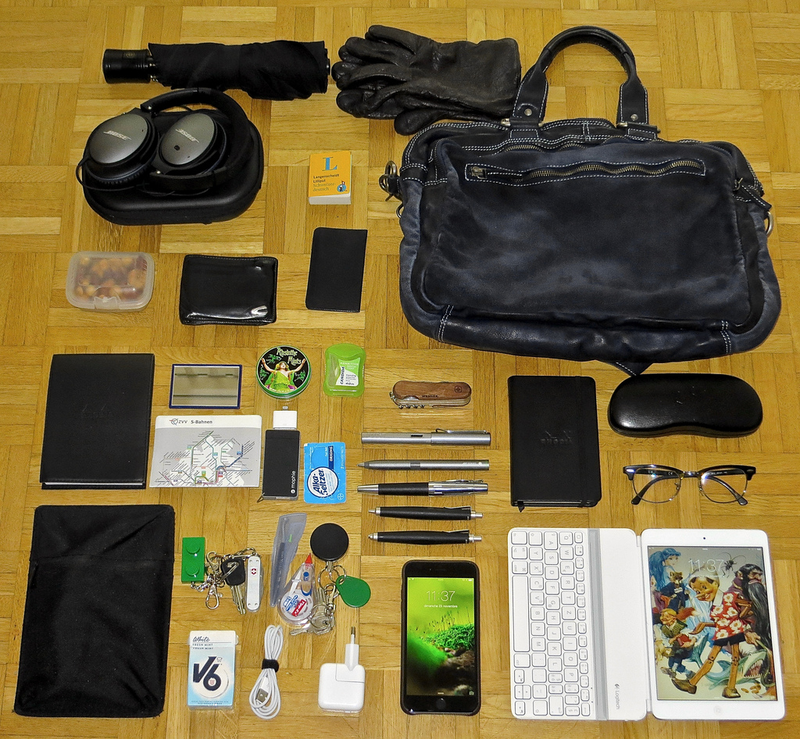 All of this stuff adds an extra layer of safety to your bag. 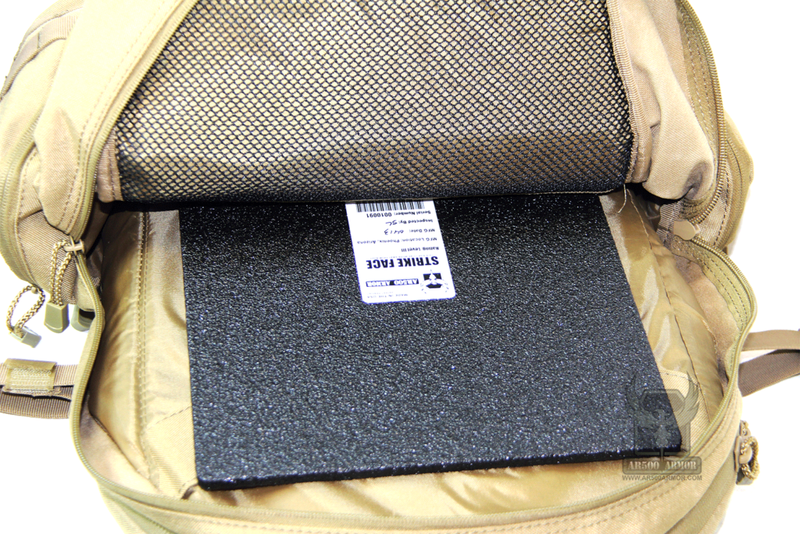 There are a few things to keep in mind about even the most highly NIJ rated backpack armor. First and foremost, backpack armor doesn’t make you invincible, no matter what NIJ safety level you choose. I know, it seems obvious, but the worst thing that you can do is get a false sense of security because of your backpack armor. 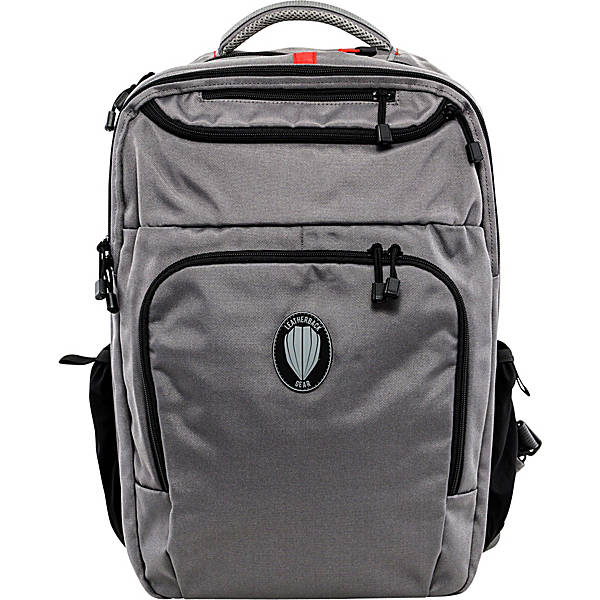 Additionally, backpack armor is only helpful if it’s readily accessible, not locked away in a locker, on a hook across the room, or stowed under your desk while you’re in the conference or break room. Not particularly helpful way over in the corner. You shouldn’t let a false sense of security because you have backpack armor allow you to get in the habit of being less lax about personal security, leaving you in an even more vulnerable position should you be without it. In the event of gunfire, you should also still try to find additional cover and you shouldn’t count on your backpack armor to protect you enough to rush a shooter. After all, even the highest-rated backpack armor still leaves your legs, hips, arms, head, and the entire front side of your body unprotected. Backpack armor should be used as temporary protection while you find cover, an extension of cover that is not large enough to protect your whole body, or as cover for you to crouch behind in the event that better cover is not available. If this kid can figure it out, so can you. Do not broadcast the fact that your backpack has bulletproof armor, and, if you’re buying backpack armor for your kid, coach them not to share that information, too. People become desperate in an emergency, and someone may attempt to take it . Even if they aren’t successful, the scuffle will be a distraction and delay in a time when focus is vital and every second counts. Armor also doesn’t totally absorb the energy of the bullet, though it does spread it. The impact can still cause major bruising, other blunt trauma injuries, or even a fatal cardiac event, especially for those with heart conditions. Finally, you should also keep in mind that backpack armor has an expiration date, after which it can no longer be relied on to provide the degree of protection its rating guarantees. Backpack armor should be replaced after about 5 years or if it becomes damaged in any way. Don’t leave backpack armor (or, again, any body armor) in the heat or sun (like in your car), which can damage it, and never buy used backpack armor because you can’t know the actual age of the armor or what kind of damage it has sustained. Don’t risk your safety because you were too lazy to just bring the bag inside with you. There’s a massive variety of different needs from backpack armor depending on who’s wearing it. For this reason, I’m going to focus on backpack armor brands rather than individual packs, though I will mention any highlights from each brand’s collection of backpack armor. Sound good? Then let’s move on to the backpack armor. AR500 Armor is one of the leading names in body armor and personal protection gear. Most of their gear is focused more on the tactical side, but they do sell a variety of backpack armor panels. They don’t carry actual backpacks, though. AR500 Armor Level III Backpack Armor 9.5" x 13"
Their selection includes panels sized 9.5” x 13” and 11” x 15”, and Levels III-A and III. In addition, some of their Level III backpack armor panels meet more than the minimum requirement for an NIJ Level III rating, but have not been tested against armor piercing rounds. Besides all the choices in size and NIJ rating, AR500 also options made of different materials so that you can have a lighter panel if you so choose. Of course, a lighter armor panel also comes at a higher price point. Even taking that into consideration, AR500 Armor panels are still more affordable than many of their competitors. And we have a full review on their regular armor. What’s your take on AR500 Armor’s solution? When it comes to bulletproof backpacks, BulletBlocker probably has the widest selection available. BulletBlocker’s collection of bulletproof backpacks includes everyday backpacks, stylish commuter bags, tactical packs, a 51-liter hiking pack, and even a rolling backpack. 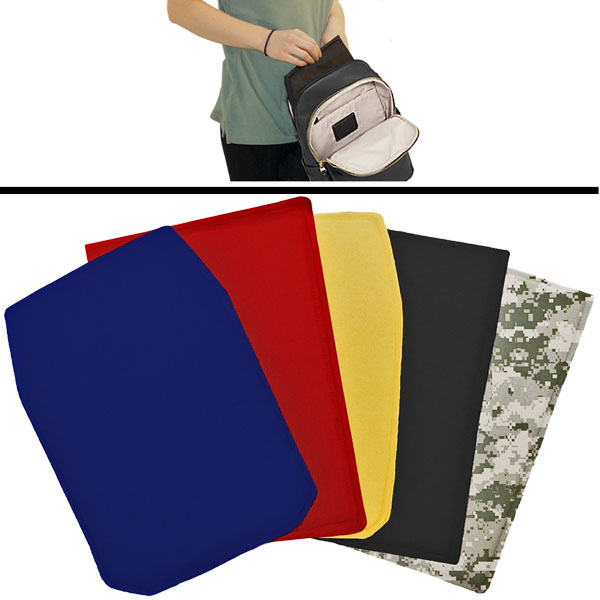 In addition, BulletBlocker sells backpack armor panels in a variety of sizes, shapes, and colors. BulletBlocker also sells two different child sized bags, which can be difficult to find. 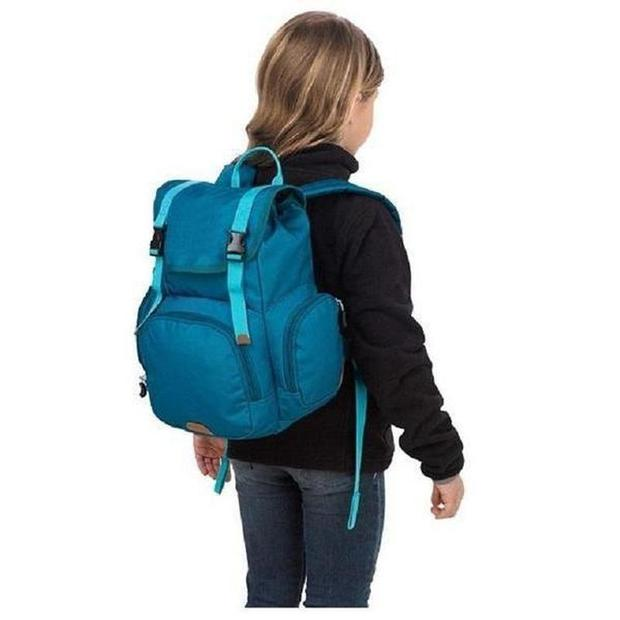 Each of these packs is available in two colorful options, which is not only helpful when trying to get your child to use the pack, but also can also be quite difficult to find in bulletproof backpacks. With many schools adopting new backpack policies and requiring students to use see-through packs, it can be difficult to find a pack that offers both protection and meets requirements. 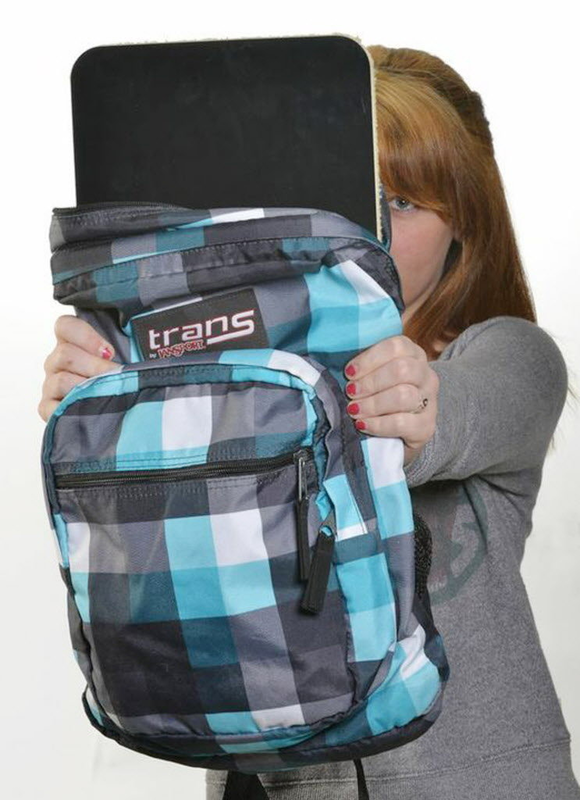 BulletBlocker offers a clear PVC backpack that features an insertable bulletproof panel, giving students safety options in districts with restrictive backpack policies. 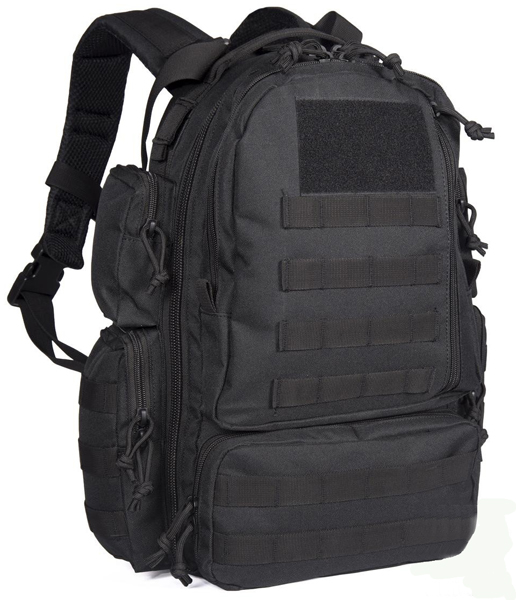 All of Bullet Blocker’s backpacks and backpack armor panels are rated NIJ Level III-A. Guard Dog Security makes a wide variety of personal defense items with a focus on civilians. While they don’t have BulletBlocker’s selection, what they do sell may appeal more to teens and young adults. This company carries three models of their bulletproof backpack, each thoughtfully designed and loaded with features–besides being bulletproof, of course. The ProShield Smart has a stylish design and built-in charging bank. The ProShield II has a built-in auxiliary port that allows the wearer to use their headphones to listen to audio from their device while their device is safely stowed inside their bag. Professionals will appreciate the simple, faux leather design, RFID blocking compartment, and ample pockets of the ProShield Pro. 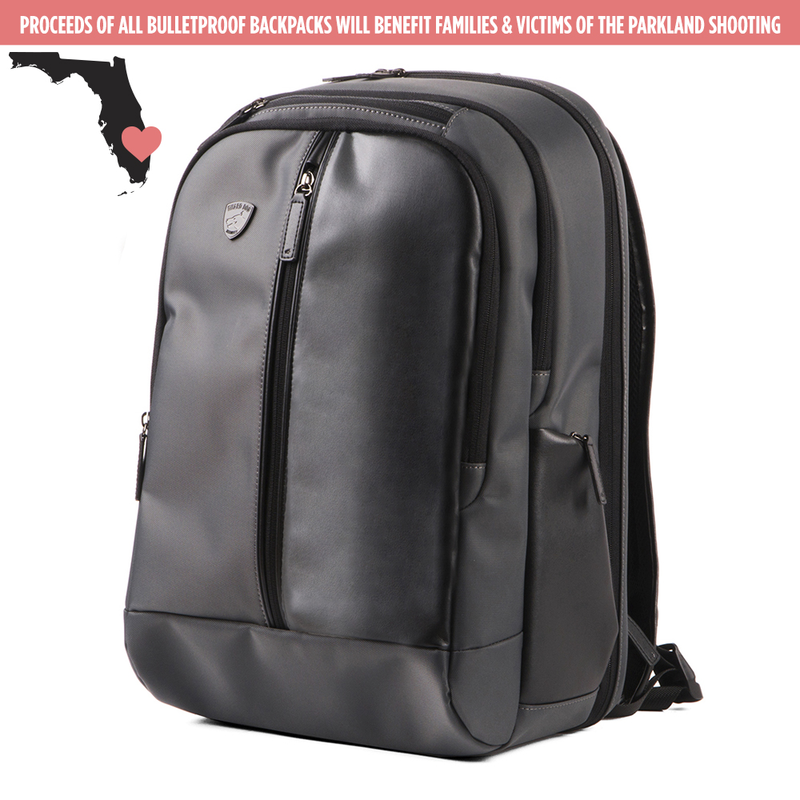 All Guard Dog Security packs are rated NIJ Level III-A and proceeds from the sale of Guard Dog Security’s bulletproof backpacks will benefit victims and families of the Stoneman Douglas High School Shooting. Designed using Spartan’s Flex Fused Core system, this is a single 11″x14″ soft-armor IIIA panel rated to stop .44 Mag SJHP. Great for adapting a normal backpack into an armored backpack! While this won’t stop rifle caliber rounds, it does weight a LOT less than hard armor – at only 1lb 9oz the Spartan Backpack Armor is more suited to smaller people or people that simply don’t want to lug around massive amounts of armor. You can also pick between three colors – Black, Tan, and Grey. So there’s that too! Last up is Leatherback Gear. While Leatherback Gear makes both packs and panels, all rated Level III-A, what really makes Leatherback stand out is their bags’ unique design. Each of their bulletproof backpacks has two panels, one at the front of the pack and one in the back. 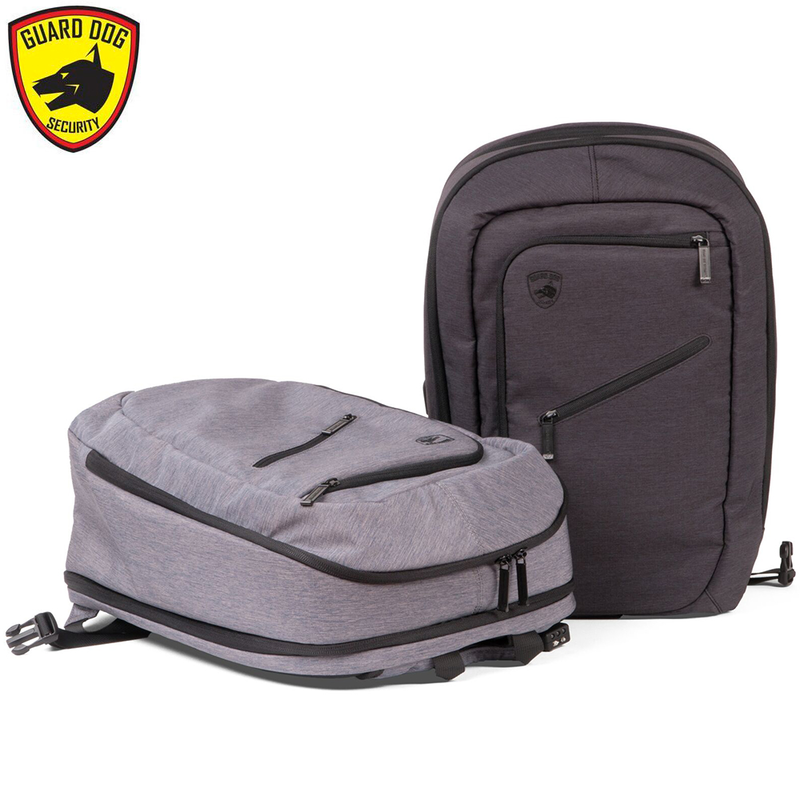 The front armor panel and pockets are connected to the rest of the bag via a zipper and adjustable webbing straps. In an emergency situation, the zipper can be undone and the bag placed over the shoulders using the straps to provide ballistic protection to both the front and back of the wearer. Backpack armor can be a great asset to add to your personal safety arsenal, but it’s also not an excuse to be overconfident in your safety. Always exercise appropriate caution and be careful to never take your safety for granted. Mad-Eye Moody had a point. But warnings aside, I want to hear from you! 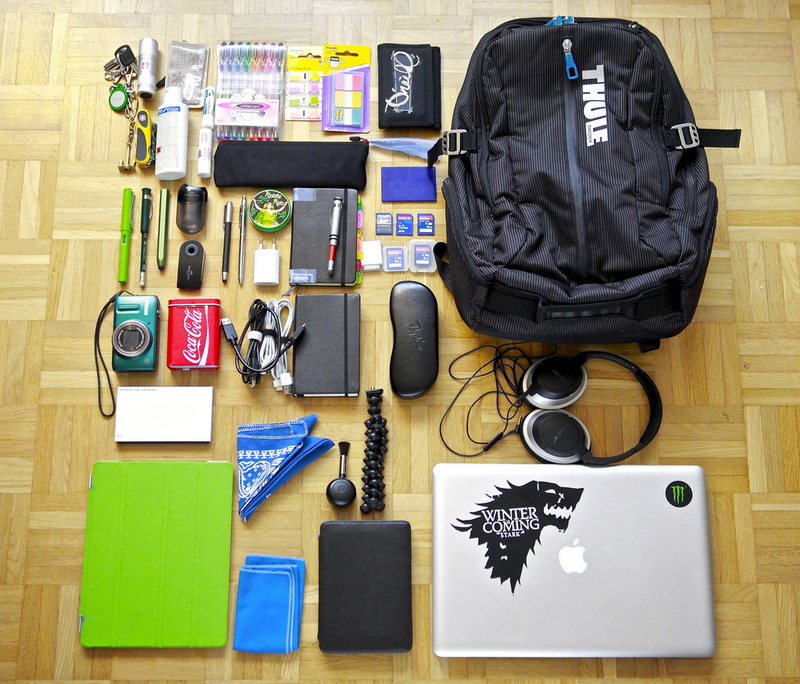 Do you own backpack armor? Tell us your thoughts and ask your own questions in the comment section below! Thinking about getting a bulletproof backpack for your 72-hour bag? Learn how with our guide on essential gear for when SHTF. 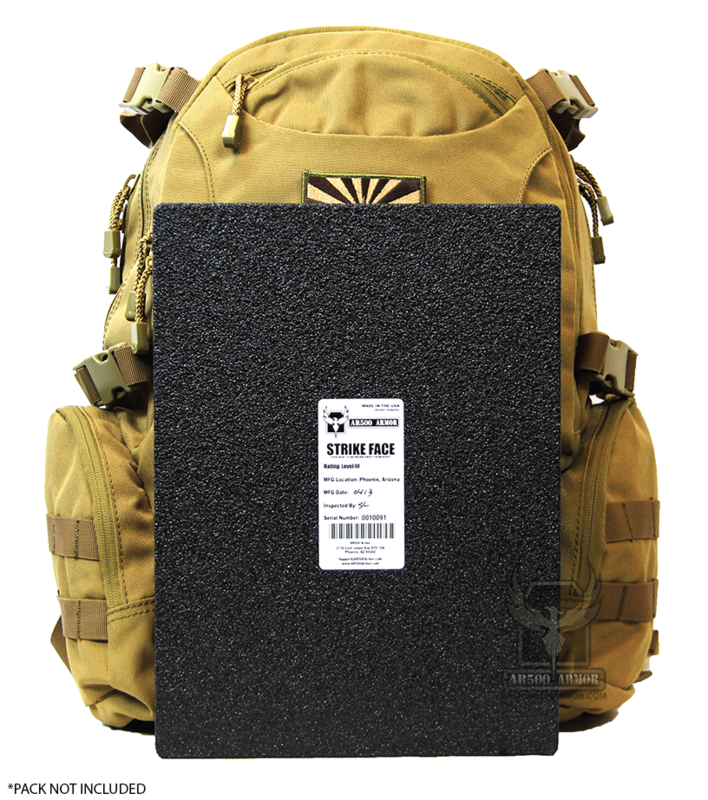 I don’t know if it counts as “Backpack Armor”, but Hardwire LLC makes an awesome ballistic clipboard, not at all out of place in a backpack or at school. 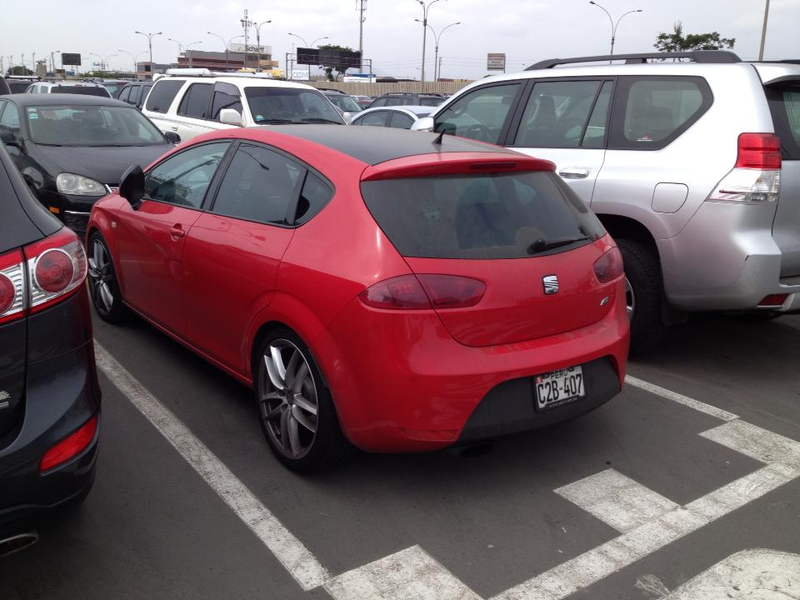 You might even bring it along to get some work done on an international flight.